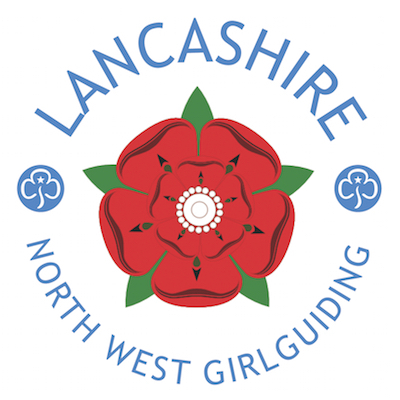 On 17th March 2019, I, along with 17 other women embarked from Manchester airport terminal one to spend 12 days with Sri Lanka Girl Guiding Association (SLGGA) and support them to grow the Girlguiding movement across Sri Lanka, particularly to inspire older Guides to invest in becoming the leaders of the future through their Ranger programme. 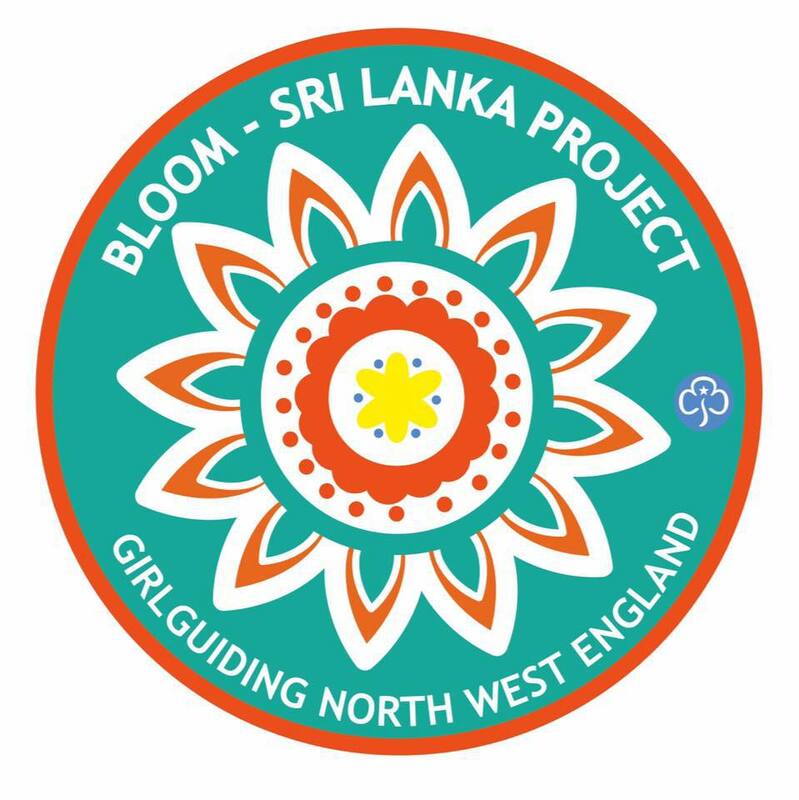 This was the first international trip of the four year Bloom project. 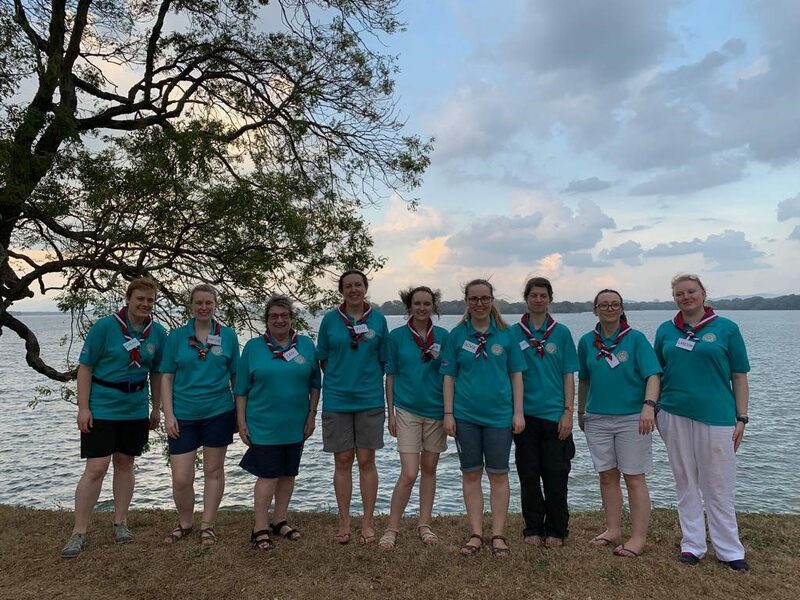 It had been a whole year since I had first attended the selection day where I met potential members of the overall team as well as the leaders of the project. If I said I was nervous, I would be underplaying my feelings at the time. I didn’t know anyone in the room at the time and I was trying to control my overwhelming urge to talk incessantly, a common trait when anxious. 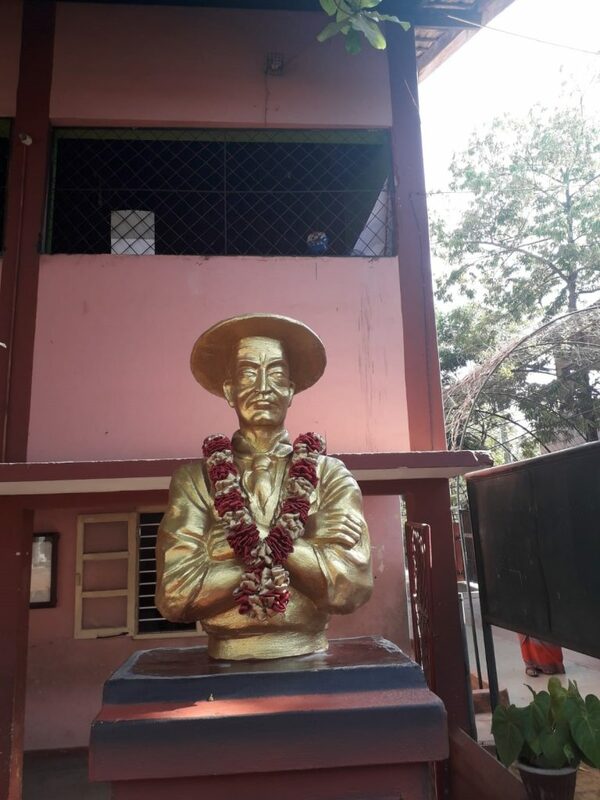 When I received my confirmation letter afterwards, I was excited and anxious as I had never been so far from home before or with people that I didn’t know. I could only think that this must be a similar feeling as a Rainbow or Brownie experiences on their first sleepover. Twelve months later and I can’t begin to put into words how happy I am that I continued through with the journey. 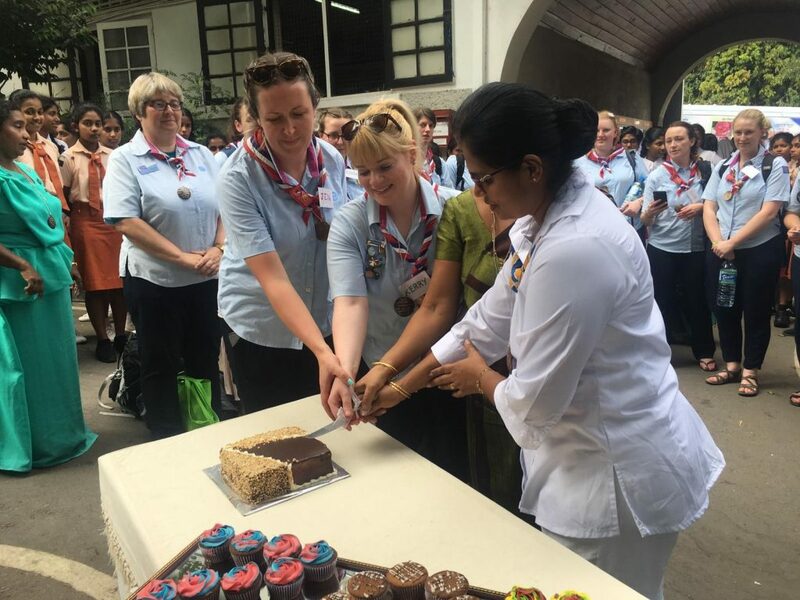 I’m sure you can already imagine what the journey has done for my confidence and self-esteem, but travelling to Sri Lanka and being embraced as fellow Guiding sisters by the girls, young women and leaders of another country made me feel part of something so much bigger than I had accepted in my mind. The Guide salute traversed language barriers, culture differences and religions across the world and made everyone feel like they belong. 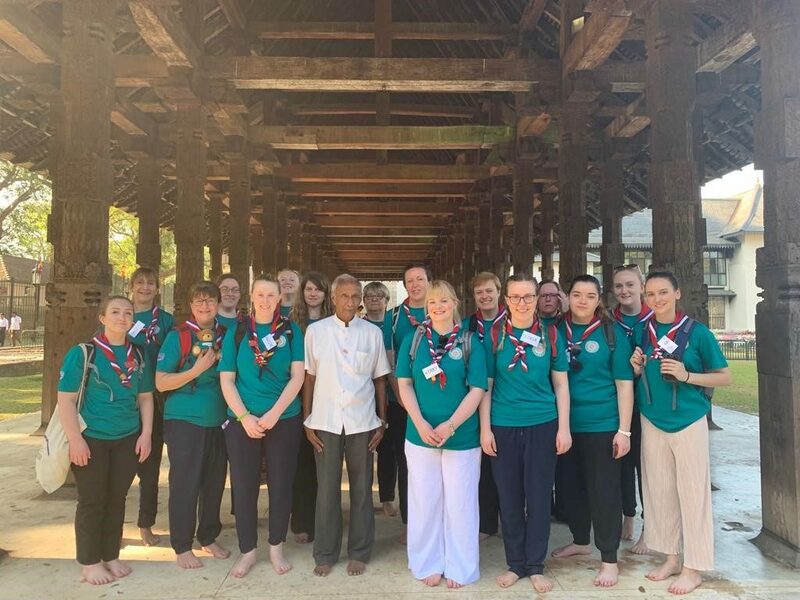 The Sri Lankan guiders were all very proud of their country and it was very important to them to show their important landmarks, religious temples and breathtakingly beautiful country to us. They were amazing hosts and we were treated with so much respect and love wherever we went. 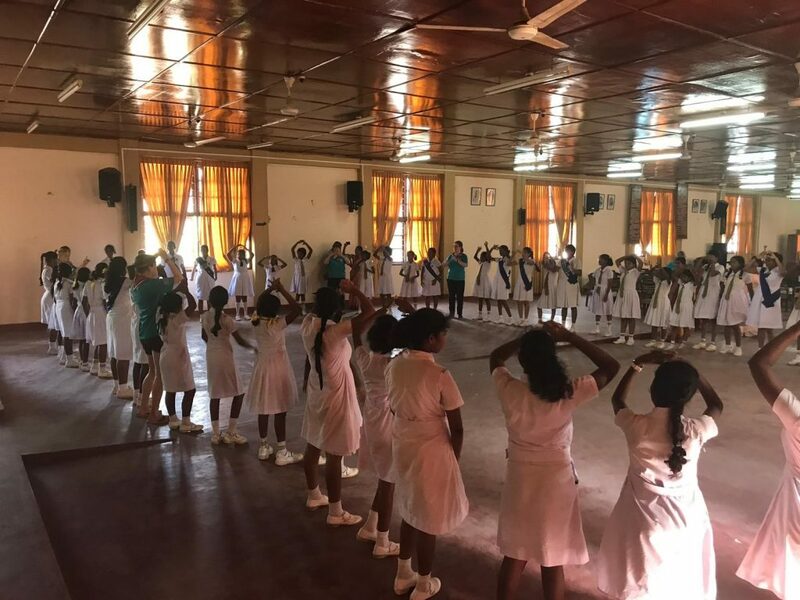 My highlight of the trip was in Vavuniya where we went to a school for differently-abled children and young people where a very special young woman performed a dance for us. The school informed us on our departure back to the hotel that they were going to start a Guide unit shortly which was amazing news. The Sri Lankan food was delicious too. I will warn that it isn’t for the feint hearted when it comes to spice though there are usually options to have something less spicy, or if you are like me, to add more spice! Being adventurous with food all adds to the travellers experience and can sometimes bring quite a lot of delight to you and others around you. 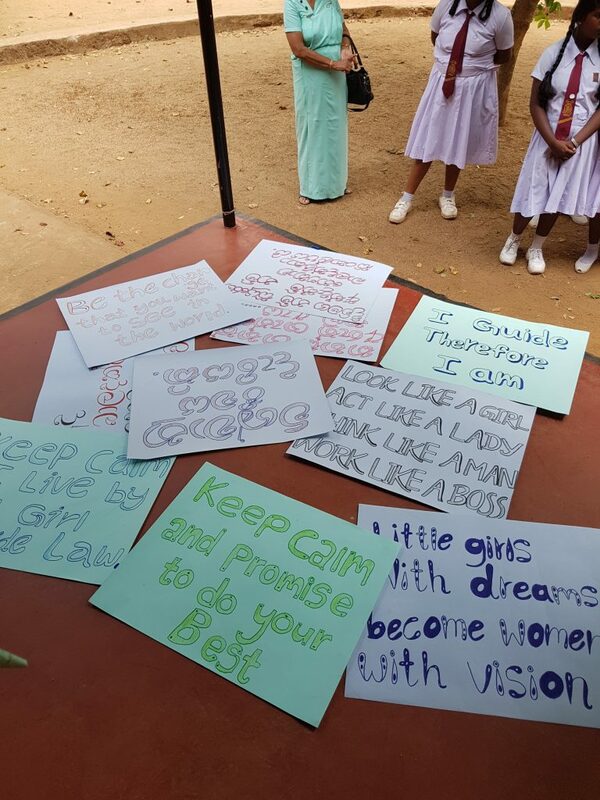 Something that I found in a small place called Anuradhapura, where we delivered a workshop to a Girls college and afterwards we were offered food and tea. I didn’t realise initially that the banana leaf filled with sweet bean paste had to be opened and only the paste eaten. Being used to eating sandwiches, my teeth were soon sunk into the whole thing leaving a bitter taste in my mouth. 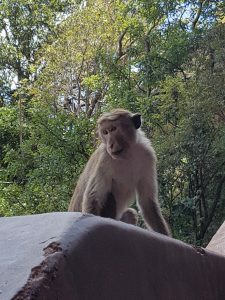 I was quickly put right by the Sri Lankan teacher sat behind me and it caused a giggle amongst the group. Maybe you can be too adventurous with food! 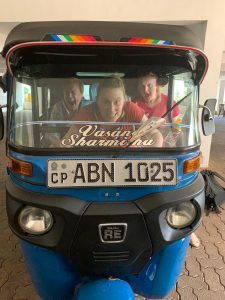 From the sunsets to the diverse range of wildlife, “rollercoaster” train ride to death defying tuk tuk journeys, our amazing Sri Lankan hosts to the wonderful travelling companions, this was truly an experience of a lifetime and I would gladly do it over and over again. This was the first year of the four year project and I would strongly recommended it to anyone and everyone. 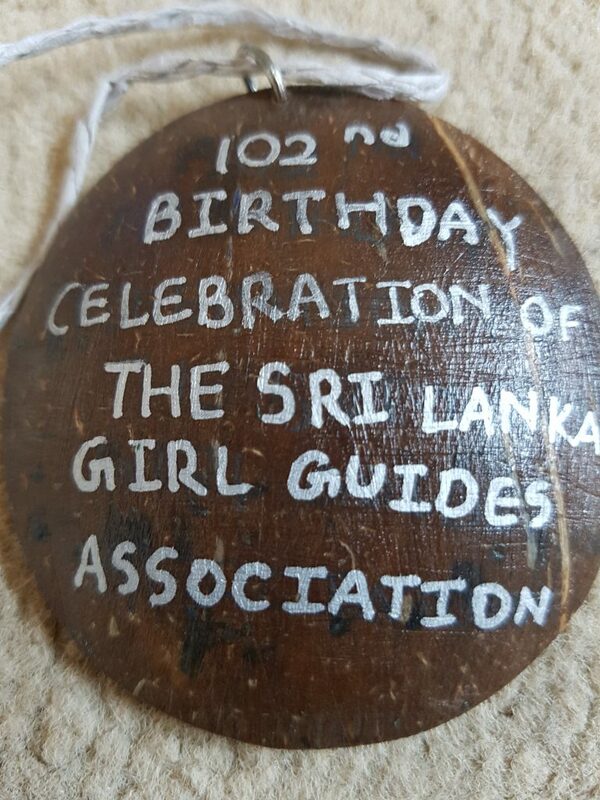 I would love to return at the end of the four years to see how Sri Lanka Girl Guides Association has changed and to reconnect with new friends made.